The warden and three managers from the California Men’s Colony volunteered during the Special Olympic Spring Regional Games that drew more than 450 San Luis Obispo County athletes to Cuesta Community College on May 4. 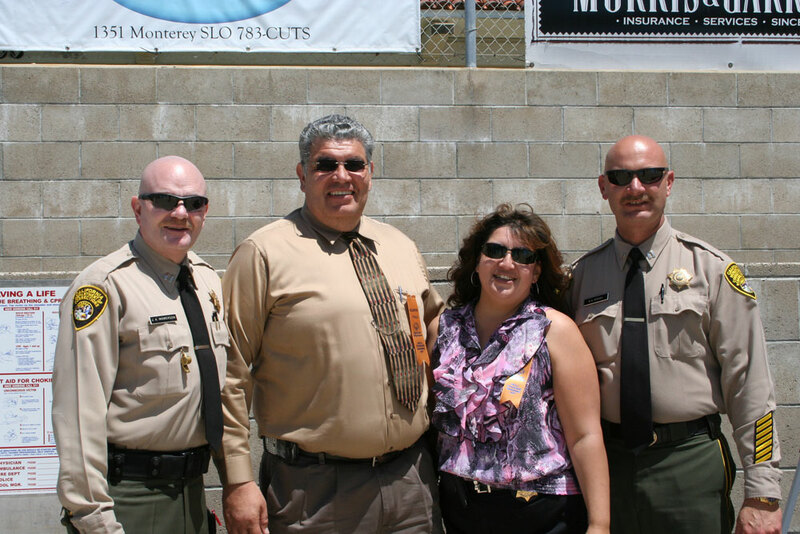 Warden Elvin Valenzuela, Associate Warden Josie Gastelo, Captain John Ingwerson, and Captain Roger Groves assisted Special Olympic organizers poolside at Cuesta College. They announced the competitors and handed out of medals to the event winners. It was recently announced that Los Angeles has been awarded the 2015 Special Olympic World Games. It is anticipated that more than 7,000 athletes from 170 countries will compete at 21 sporting venues. More than 40,000 volunteers will be involved in staging the event. From left are Capt. John Ingwerson, Warden Elvin Valenzuela, Associate Warden Josie Gastelo and Capt. Roger Groves. More photos can be seen in the Flickr photo gallery at https://www.flickr.com/photos/37381942@N04/sets/72157630393838156/.